So, Bruce Willis left the latest Woody Allen movie, and though initial reports say it was due to a scheduling conflict, the latest reports are that the Die Hard star got canned. But don’t worry if you’re super psyched for the neurotic auteur’s next film and worried it might be delayed, because they already replaced Willis, and they landed a an A-lister to boot. 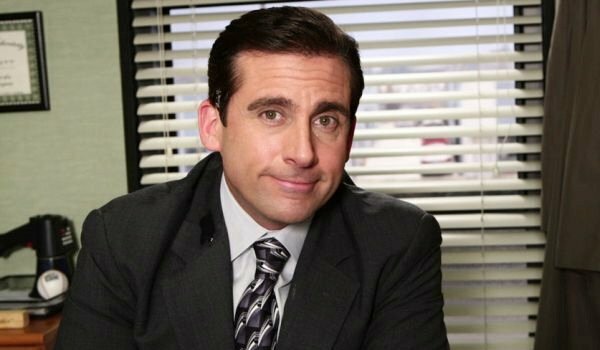 According to a report from Deadline, the as-yet-untitled film has cast The Office and The 40-Year-Old Virgin star Steve Carell to take over for Bruce Willis. There’s definitely a different style moving from one of these actors to the other. This will be Carell’s second time teaming up with Allen, as he was also part of the director’s 2004 romantic comedy-drama Melinda and Melinda. Though there is little in the way of details on this latest Woody Allen joint—he’s known for keeping the specifics under wraps—Carell once again appears to be part of a rather sizeable ensemble. He joins an impressive cast that includes Blake Lively, Jesse Eisenberg, Parker Posey, Kristen Stewart, Corey Stoll, Ken Stott, Anna Camp, Jeannie Berline, Sari Lennick, Paul Schneider, and Stephen Kunken. Aside from who’s in the film, and that it’s another Woody Allen picture—he works at an impressive pace, averaging at least a film a year for more than forty years—we don’t know much about the project. However, even with this late-in-the-game actor swap, production is expected to proceed as planned, and it shoots this month in both Los Angeles and New York. Originally, it was reported that Bruce Willis was leaving the production due to a prior scheduling conflict. He is slated to appear in a Broadway adaptation of Stephen King’s Misery later this fall. That, as we’ve since learned, does not appear to be the case, and reports indicate that Willis was having trouble on set and was unable to remember his lines, even with cue cards to help, and was butting heads with the cast and crew. This wouldn’t be the first time that Willis has run into friction with co-workers. Stories of trouble playing nice with others go all the way back to Cybill Shepherd on Moonlighting, and continue all the way up to the likes of The Expendables movies—he reportedly clashed with Sylvester Stallone over money. Perhaps now we need to add Woody Allen to the list of directors that includes Michael Bay and Kevin Smith who Bruce Willis has had problems with in the past.